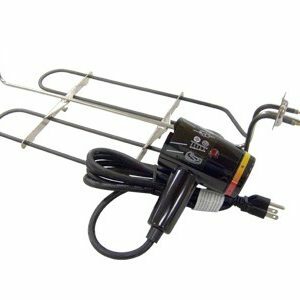 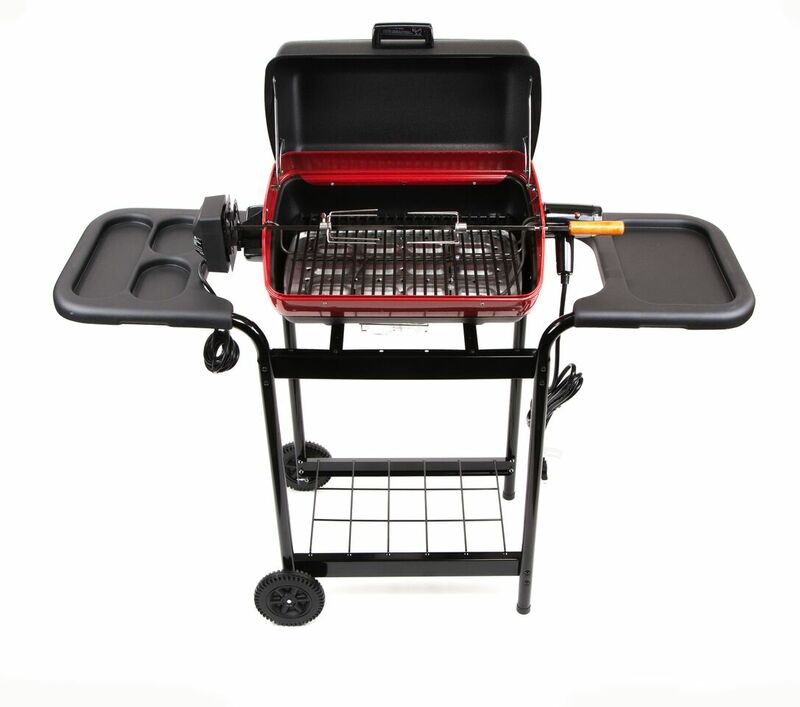 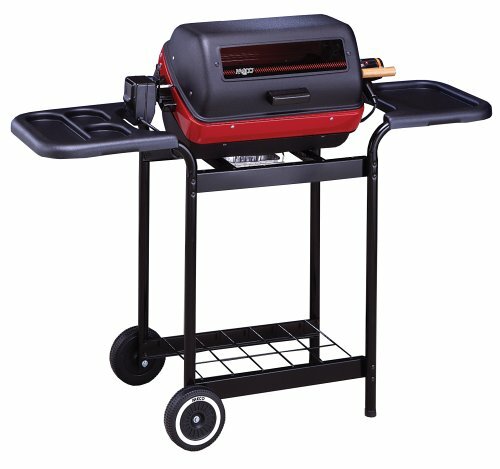 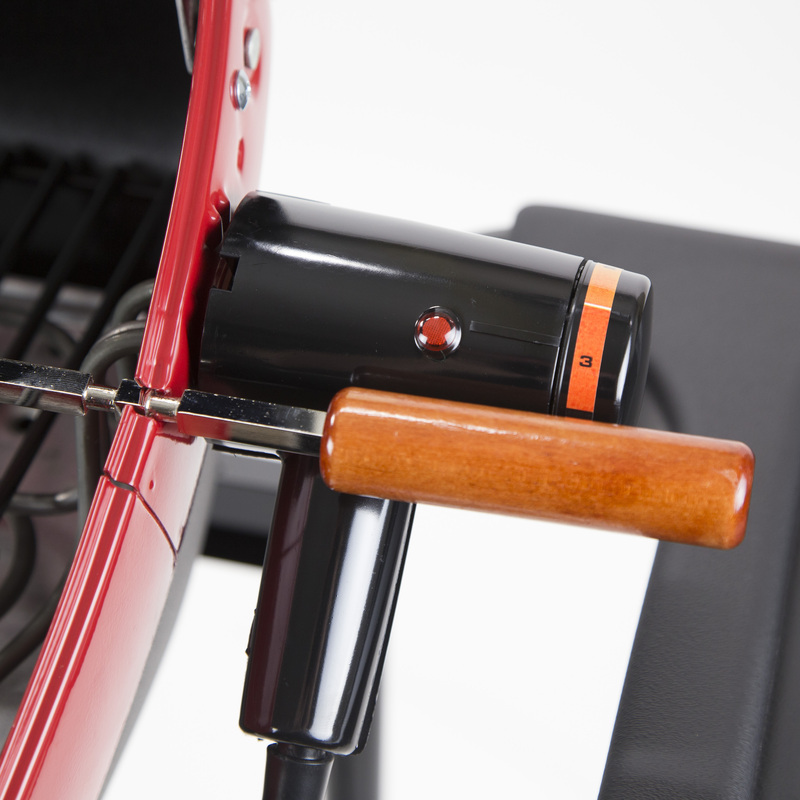 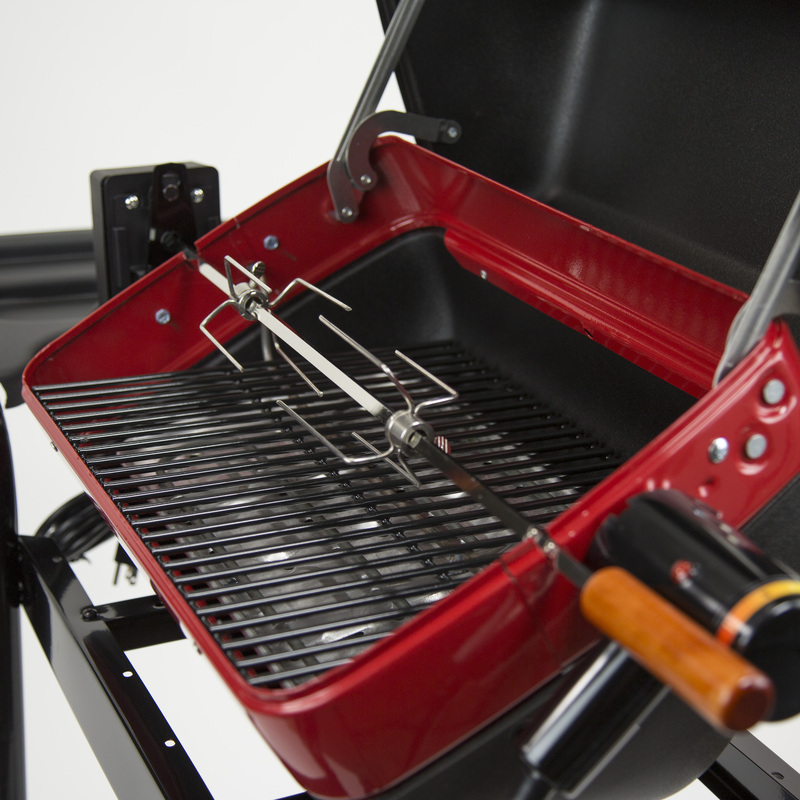 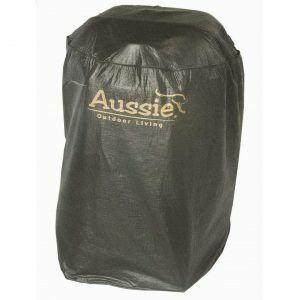 22-inch rotisserie included and along with its durable polymer side tables and window, this grill’s three-position element and rotisserie cater to your every need. 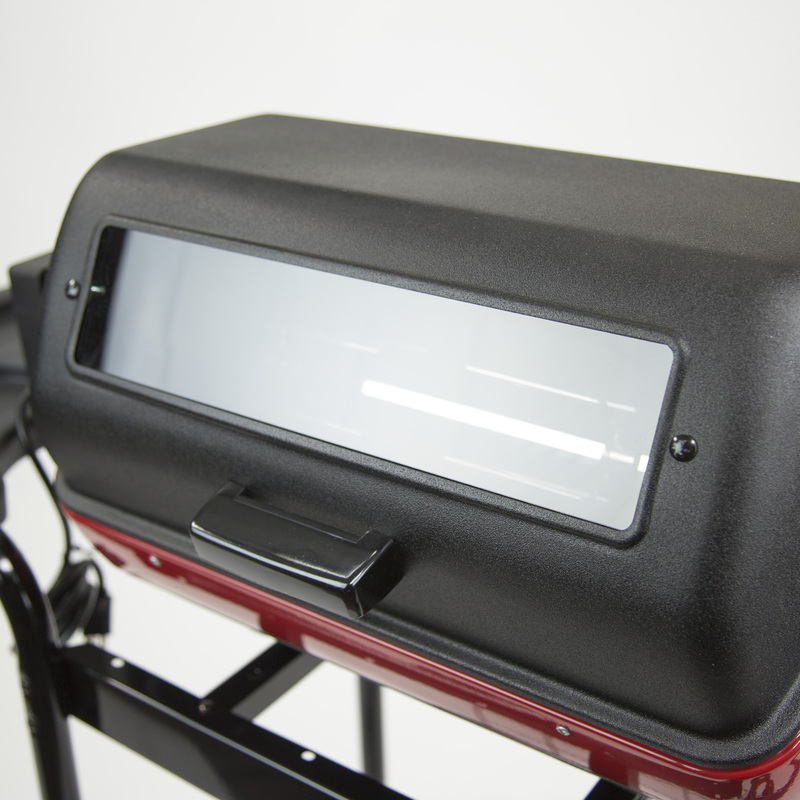 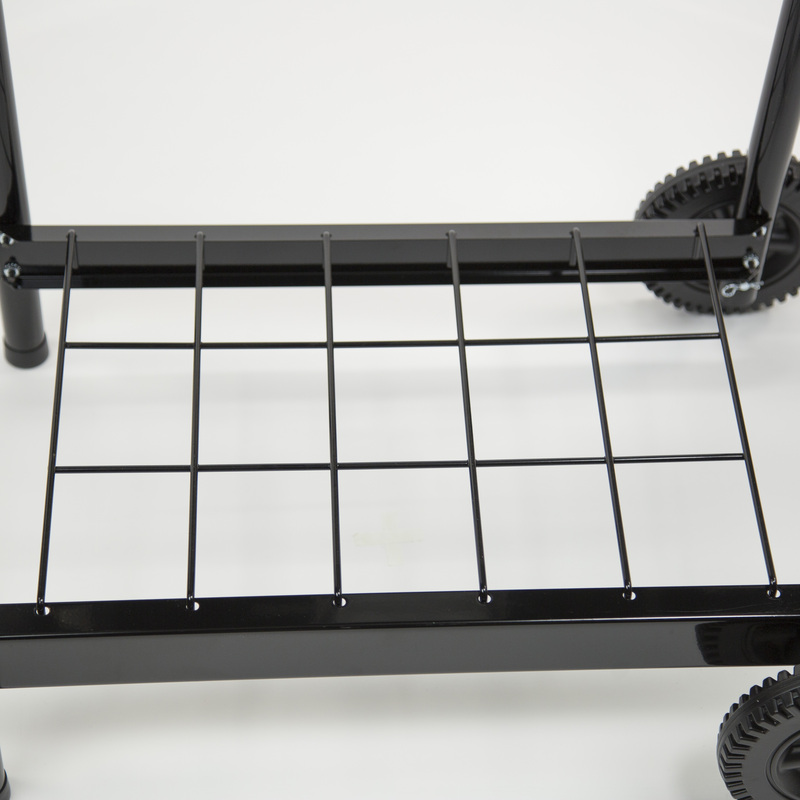 This grill’s rolling cart makes it convenient to transport, and its wire shelf helps keep your grilling materials together. 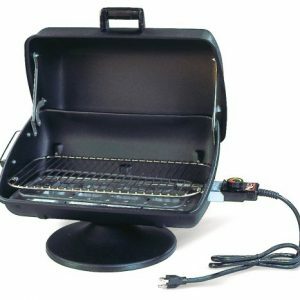 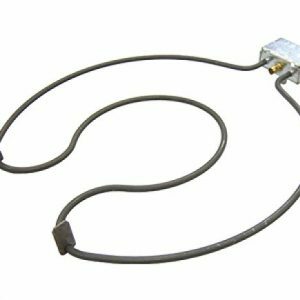 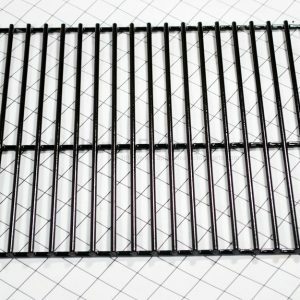 Also, with its thermostatic control and 1500-watt, UL and CUL-listed heating element, this grill plugs into any standard household outlet. 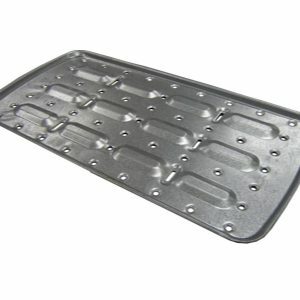 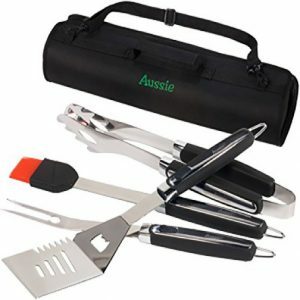 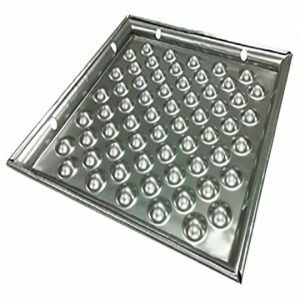 A disposable grease pan catches grease and makes clean-up easy.